Alec Guinness won an Oscar in Kwai for his role as Colonial Nicholson, a British officer whose stiff upper lip and penchant for order were unshakable, even in the context of a Japanese POW camp. No matter what happened to him or his unit during war, two things were non-negotiable: order and discipline. The infamous scene where the ragged soldiers enter the POW camp whistling a march and forming ranks has been parodied and honored in plenty of movies since (see Breakfast Club, Spaceballs, see the trailer below). In his attempts to maintain order and discipline amongst his troops in the POW camp, Nicholson ends up out disciplining, out ordering, and out persevering the Japanese Colonial in charge of the camp. Throughout the first half of the movie, Nicholson becomes a hero of the film. But by the second half, something goes wrong. The discipline and order of Nicholson become, well, neurotic. In an ironic plot twist, Nicholson volunteers to head the construction of the titular bridge, which the POWs had been haphazardly piecing together and sabotaging for most of the film. He and his unit redesign the bridge, form ranks, and for the good of discipline and order, begin to seriously tackle the construction of the bridge. Thus, the movie’s chief irony. These British soldiers, who not long ago were shooting and killing the Japanese, are now helping the Japanese complete a railroad system that will funnel thousands of troops to the front lines to kill more British. In the name of discipline, the Brit POWs are aiding and abetting the enemy. The movie’s climax erupts when Colonial Nicholson finds explosives strapped to his beloved bridge by British commandoes and is confronted head-on with the implications of his actions, and you’re just going to have to watch the movie to see the end. 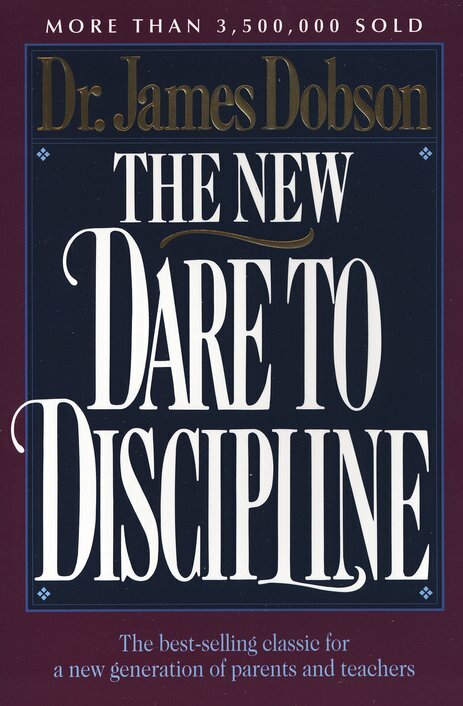 Here, the gospel and Kwai ask a similar question: is discipline really all that it’s cracked up to be? Is it possible that discipline can go so far that, instead of bringing order and restraint, it brings about pride and blindness? Could one’s discipline go so far as to aide and abet the enemy? I have been found guilty on both sides of the discipline coin. At one point in my late teens, I needed to prove how good a Christian I was compared to the rest of my youth group, and for about a year I strutted about like a rooster because I had reigned in a few particular outward behaviors. When I got to college, I met Christians who were so much more disciplined than I was to the point where I despaired and knew that God was not pleased with what I was becoming. Thanks be to God, then, that discipline is not the paradigm of the Christian Gospel or the Christian Life. Our paradigm is grace, devoid of the rigors of discipline for attaining or maintaining salvation. The trick then with discipline is to not make it the goal of the spiritual life. If we do that, we’ll end up like Colonial Nicholson, confronting the monsters we’ve created only after it’s too late to stop them. Instead, the spiritual life becomes wrestling with the implications of grace, and as that happens, we may just find that the implications of grace are the only things that bring the heart change that discipline tried, but never could, achieve. It is worth noting that this film is actually a typical 1950s-style sanitation of the historical account of events, Through the Valley of the Kwai by Ernest Gordon. Gordon was a Scottish bon vivant of sorts who found Christ while watching POWs dedicate themselves to burying those soldiers who killed by Japanese brutality. The 1957 film, true to contemporary racial mores, depicted the Japanese as violent but bumbling. A little British discipline supposedly went a long way toward "civilizing" them. A truer film adaptation called To End All Wars (starring Kiefer Sutherland, for anyone who will be seeking a hit after the 24 finale tonight) shows the war brutality for was it truly was, making the Christian dimension all the more explicit and all the more remarkable. It is not for the faint of heart. Gordon went on to become an important and influential chaplain at Princeton for decades until his death in 2002. Fantastic Movie! Sir David Lean and the boys made a GEM. NR–I think that's called Poetic License! I'm a fan of David Lean, but prefer Lawrence of Arabia and Dr. Zhivago—and A Passage to India for that matter. 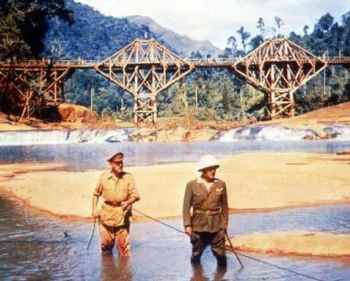 Bridge on the River Kwai seems to be too formulaic a presentation of the world-weariness that war brings on, but with the sanitized element that was mentioned above which leaves the viewer wondering why people are so world-weary. It ends up appearing to be a mere social pose. I enjoy Bridge on the River Kwai but I think that many of the same themes were explored in more compelling and varied ways in Lawrence of Arabia. I think that Bridge works as a character study at the levels Bryan is talking about. Besides, Lawrence of Arabia is a WWI movie. That makes it more special to me because there seem to be so few decent movies that focus on WWI, which is crazy since how the "peace" was handled at the end of WWI had everything to do with planting the seeds of WWII. Lawrence of Arabia sticks out because it bluntly indicts the Western powers in WWI laying the ground work for exacerbating ethnic and regional conflicts that came in later generations and the lionized war heroes of that war weren't alert enough or smart enough to see that coming. it's one thing to make a "war is crazy" movie and another thing to show HOW war can be crazy. "You and the Cor. Nicholson are two of a kind- crazy with courage! For what- how to die like a gent, how to die by the rules. When the only important thing is how to live like a human being"